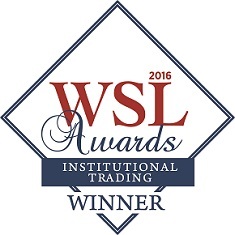 Feb 5, 2015 New York- Mischler Financial Group, Inc., the securities industry’s oldest investment bank/institutional brokerage owned and operated by service-disabled veterans was recognized by industry peers last night and awarded “Best Research Provider-BrokerDealer” during the 5th Annual Wall Street Letter Awards held at New York City’s Cipriani 42nd Street. This is the second year in a row that Mischler has been feted for its excellence in research content by a panel of judges representing both buy-side investment managers and sell-side broker-dealers. Runners-up in the Best Research-BrokerDealer category included two other contenders: 125-year old super regional and full-service investment brokerage Stifel Nicolaus and financial service sector investment bank Sandler O’Neill + Partners. Accepting the award on behalf of Mischler Financial Group was Ron Quigley, Managing Director of Fixed Income Syndicate and Primary Sales and author of “Quigley’s Corner,” the firm’s daily debt capital market commentary, which includes granular insight to corporate bond market issuance and rates trading. Quigley’s Corner is distributed to more than 1000 Fortune corporate treasurers, leading investment managers, public plan sponsors and senior executives across the sell-side’s fixed income syndicate universe. Mischler also provides bespoke global macro strategy observations, equity trading insight and consumer market sector analysis to its institutional client base.